My recollection of Athen's progressive metal band False Coda was fuzzy at best. So much so I had to find and read my review of their debut album Closer To The Edge to refresh my memory. Apparently the reason for my scattered recollection is that I was largely ambivalent to that album. Now the band returns with their follow up Secrets and Sins, introducing new singer Stefanos Zafeiropoulos. In one sense, Secrets and Sins is definitely a step forward for the band. The songs are stronger with more coherence and fusion between players and instruments. Generally, the arrangements are satisfyingly complex without being so knotty you can't unfold them. While the guitar lines seem to hold sway across every song, there are some fine moments of interplay between guitar and synths. Yet the keyboards also come forward for both atmosphere and embellishment. Additionally, as with the title cut as example, the bass line takes some precedence, making it something you should pay attention to hear. Returning to Bill Milios' guitar parts, he adds some fiery and feisty guitar solos with neo-classical tones. As for the vocals, Zafeiropoulos sings melodic, yet has a strong and forceful presentation. Yet, you'll need the lyrics handy as most times he's difficult to understand. While all these things make Secrets and Sins a better and stronger effort, there's also a small step backwards. 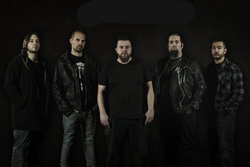 Notable in at least two songs, the title cut and later within Moment, the band experiments with adding harsh vocals. In the latter, Zafeiropoulos comes close to death vocals. Where this idea came from I have no clue. And when things were going so well. To mention the songs, the heavier Monolith features a strong guitar solo from Jeff Loomis (Arch Enemy, ex-Nevermore). Sometimes I found a song, like Moral Compass, to start strong with an inviting introduction, only to feel clumsy in the development, yet then rebound with some terrifc parts beginning with the vocals at midpoint. I've already tossed out Secrets and Sins and Moment because of the death vocals. 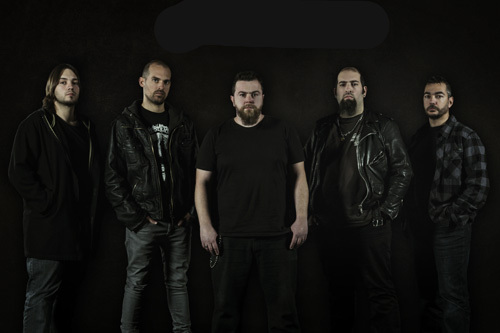 Better are New Paradigm, Throne Of Blood, and Truth and Lies, all solid, heavier, prog metal. Then there's California, something, I suppose, intended to be a heavy metal anthem, yet fell flat on these ears. 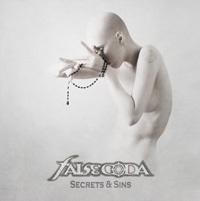 Suffice to say False Coda's Secrets and Sins is better than its predecessor in many ways, especially in song composition with a finer, more adept, fusion of instruments and players. Yet it's not without some prickly flaws, the inclusion of some notable harsh vocals. Check out the video below and see what you think.